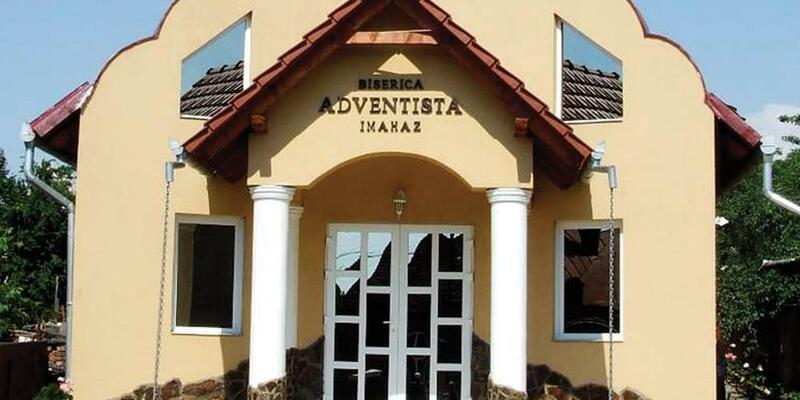 Adventist Mission | "Most Important Day"
My name is Hadassah and I was born in the city of Craiova, Romania. [Point to Romania on a map.] I grew up in several cities in Romania, because my father is a pastor and we moved several times. Now we live in Campulung Mucel, a city located in a beautiful mountain area. I’m 12 years old and in the sixth grade. I also have a younger brother who is nine years old. Sabbath, January 8, 2016 is the most important day for me so far. That’s when I was baptized into the Seventh-day Adventist Church. In my country, 12 years old is very young to get baptized, and so many people asked why I was baptized at such a young age. My answer is that I studied the Bible during my personal devotions, and by participating in church and at youth prayer meetings, I realized that I had to change and treat the church and the spiritual aspects of my life more seriously. I realized that as long as I understand, respect, and I try to fulfill the Bible’s teachings and the doctrines of the Seventh-day Adventist Church, I can become a church member at any age. As it says in Proverbs 27:1: “Do not boast about tomorrow, for you don’t know what a day may bring.” So I decided that I should not rush into baptism but also I shouldn’t say, “I’ll get baptized when I’m older.” As I learned from Joseph, my favorite Biblical character, childhood years can be the best time for making important spiritual decisions. And I decided to make my biggest one now. My name is Paula, I am 15 years old and I was born into an Adventist family that loves God and others. When I was a baby I was dedicated in a church, but a little more than a year ago I decided to be baptized. I want my relationship with Jesus to guide my whole life. I want to tell you, boys and girls, that the most important thing is to love God more and more. When I was in kindergarten I attended an Adventist school named, “Dr. Lind“ in the city of Campenita. Later on, when I was a little older, I went to camps where I learned how to preach and study the Bible, and I also participated in a program called, “Religion Olympics.” The youth department of my church also helped me to become stronger in my faith. When I was five, my mother was trained as an Adventurer guide. A year later I was in my first camp. After being an Adventurer, I became a Pathfinder. My father was one of my Pathfinder teachers. A great Pathfinder group was formed in our church. We were all nearly the same age and we were all friends. Together, during our four years in Pathfinders, we organized many trips, camps, camporees, conventions and many other pathfinder activities. It was great!. Because my mother was still an Adventurer guide, I also went with her to every Adventurer camp and group meeting. There I had the opportunity to grow and to fall in love with working with children for God. Besides school, this became an important part of my life. Last year I graduated from Pathfinders and I am currently preparing to become a future Master Guide in our Leadership School. Here, besides learning, we build the best memories and the strongest friendships. I want to give my life to God because I want Him to use me to complete His work in this world. Jesus died for you and me on the cross, and He is coming back very soon! Boys and girls, you can be leaders, too. Now is the time to become involved in everything you can at your church. Come to Sabbath school every week. Join Adventurers or Pathfinders. Sing in the choir if your church has one. Ask the pastor how you can help others learn about Jesus. You’re never too young to start working for Jesus!